Advent marks the beginning of the new liturgical year. Advent is a four-week season of waiting, hope and anticipation for Christmas. It is a time to celebrate the birth of Jesus, anticipate the second coming of Christ, and to remember that Jesus is with us always “until the end of the age.” Here are some Advent resources to help you and your family celebrate and reflect during this marvelous season. 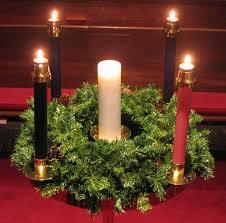 Advent Wreath – a long standing tradition in our Church. 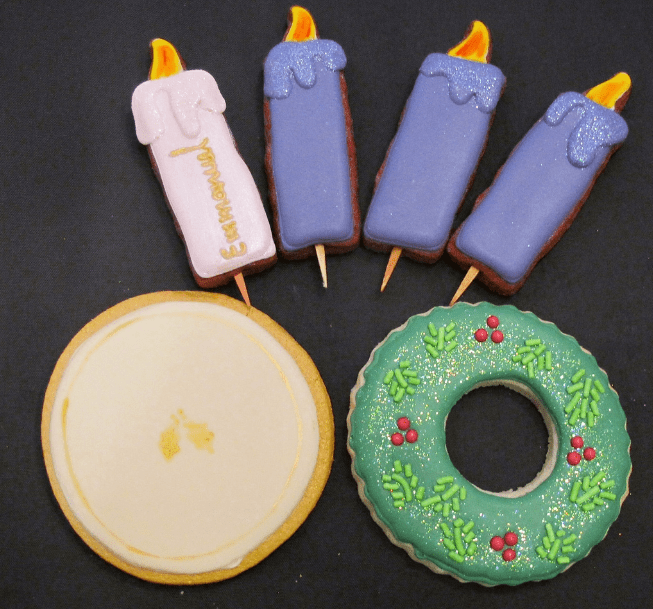 An Advent wreath is a circle (symbolizing God’s unending love for us) of evergreen leaves (green being the color of hope) with four candles (three purple, one pink), that we light each Sunday of Advent. The purple candles symbolize: hope, joy and peace. The pink candle symbolizes love. 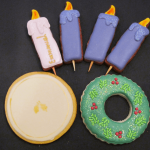 Advent Calendar – a tradition that was begun by our Lutheran brothers and sisters in the middle ages. An Advent calendar has 24 boxes and you begin by opening the first box on December 1st, the second on December 2nd and so on and so forth. Originally, inside each box you would find an image (since most people were illiterate) and perhaps a small treat (chocolate in particular not being readily available back then). Today Advent calendars have a piece of chocolate and a Bible passage but the message is the same – to take time each day to reflect on the coming season of Christmas by remembering the Nativity story – Mary’s yes, Joseph’s love, the Wise men’s courage, the shepherd’s joy. Recently many people have changed up the idea of the Advent calendar – wherein instead of finding a piece of chocolate, instead they write small acts of kindness and service to be performed daily throughout the season. Advent Fast – Advent is often called “little Lent.” Not only because both seasons share the same liturgical color: purple, but because each season is to be characterized by fasting, prayer and good works. While we are not obligated during Advent to fast (i.e. abstain from meat) it is a tradition worth reviving. Consider taking the money you don’t spend on between meal snacks and donating it to the poor. Fasting, of course, doesn’t have to just be about food. You can choose to fast from holiday stress, from anger, frustration and all the other negative emotions associated with the consumerist shopping rush of the holidays. Remember, time is the only gift that can’t be returned – instead of worrying about getting the latest gaming console, spend more time with your family. Advent “New Year’s Resolutions” – Since Advent marks the beginning of the new liturgical/Church year sit down with your family and come up with three spiritual resolutions for the coming year. For example, you could resolve to pray every night before bedtime as a family, or read Scripture together once a week, plan an act of service once a month, the list is endless! December 6th – Feast of St. Nicholas – a fun tradition is to leave your shoes outside your bedroom door the night before and find a sweet gift (chocolate coins or a small toy) in the morning! December 8th – Feast of the Immaculate Conception – On this day we remember when Mary was conceived in her mother’s womb. We call it the Immaculate Conception because Mary was conceived without the stain of original sin. Say the rosary with your family. December 12th – Feast of Our Lady of Guadalupe – Celebrate the first appearance of the Virgin Mary on the American continent by reading the story together and eating some delicious Mexican food. December 13th – Feast of St. Lucy – Celebrate the feast of St. Lucy by lighting candles with dinner and discuss how your family can be a light to the world this Advent through kind deeds of loving service.